Yesterday, on my way to pick up the Sunday paper, I decided to swing by the lake to see if the ice-fishing village had expanded. It had. And although the pictures don’t indicate this, it was actually quite lively on the ice, with people calling to each other and moving between shacks. I think this little green shack looks especially fetching as it peeks through the branches. And this shot gives an idea as to how close to shore some of them are. While I was taking pictures, I heard the muffled roars of far-off snowmobiles, which, as someone who cares about the environment, I know I am not supposed to like. However, as a Mainer who rode on snowmobiles when she was young, I have a soft spot for them. Growing up in the 1960s and 1970s, I had what is now referred to as a “free-range childhood.” When I was eight, we moved to the rural town of North Vassalboro, and I was allowed to roam the fields and woods as I wanted. This was not unusual back then. My friends had the same freedom, and somehow we set reasonable limits on ourselves, with our range being about a mile’s radius from where we lived. We climbed trees, we rode ponies, we picked strawberries in backfields, and in the winter, as we got older, we rode snowmobiles. My parents had a little Arctic Cat with a pull starter that was easy for me to use. And off I went, sometimes by myself, sometimes with my friends, buzzing around the countryside but again, never straying much farther than a mile so so from home. Not exactly good for the environment, but oh so much fun as the sharp air hit our faces when we went up hill, down hill, and through the woods. Then back to a warm house for hot chocolate and cookies. Funny how a trip to a frozen lake will bring back memories. What a wonderful childhood you must have had, so free compared with how children live today. Susan, you bet! It’s a shame most children don’t have that same kind of freedom. There is a move afoot for some parents to allow their children to go off by themselves. It is actually considered radical now. Can you imagine that? Thanks, Xenia. Weren’t we lucky to have that freedom? I love your photos! I ‘m scared of going out on the big lakes; I never quite trust the ice. Safe in midwinter. In my younger days, I used to walk across the Narrows with the dog. Definitely a rural scene with the ice shacks. And a beautiful day to be outside. You were lucky to have your own family snowmobile. I had a friend who had one, but gas was always limited! I was a lucky child indeed to live in such a lovely rural town. And to live in a family where there was enough money for extras. Tee-hee! The ice is safe and solid, even in the middle, which is probably where the best fishing is. Lovely to read about your childhood memories in a part of the world so different to mine. I too had a very free childhood, but in Africa, so the contrasts are great. You could write a non fiction book for children in the Southern Hemisphere, my students would have loved reading & talking about snowmobiles and ice shacks. Thanks so much! Yes, I am sure the contrasts are great. Fun to think about children on the other side of the planet reading about snowmobiles and ice shacks. Your free-range childhood sounds beautiful. You had a lot of experiences that are foreign to many. Enjoyed reading about them. Bye till next time. Thanks, Neil. For a child, the countryside is a grand place to grow up. I had a similar childhood, running around in the woods and messing in the creek. Minus the snowmobile, as there wasn’t predictably enough snow to invest in that sort of thing. That little green ice house is very cute. I would stay close to shore, I think, as well. The best kind of childhood! In Maine, the lakes freeze so deep and solid that it’s safe enough to drive a car on them. Not that I have. But I have walked across one or two, in my younger days. I never rode a snowmobile but we did ice fish and skate on the frozen lake. Fond memories. I love the description of your childhood – I grew up on an farm and had a pony – I used to go riding for miles on my own – you just couldn’t let children do that now. Sad! It is sad. What a wonderful freedom we had. And I really don’t think it’s that much more dangerous now than it was when we were kids. There are more people about than there were then, and country lanes seem to be a hideout for strange vehicles! Good point. Still, sad that kids can’t roam the way we did. I, too, had a free-range childhood, on a farm, and wish every child could grow up that way. One of your earlier responses here made me remember that my parents once drove across Lake Champlain, from Plattsburgh to Burlington, on the ice. Not the smartest move but they made it! I know. What a grand way to grow up. Wow! That’s a long way to drive on the ice. Glad they made it. Beautiful photos and how lovely the morning brought back these wonderful childhood memories! I’ve always wanted to go snowmobiling!! Yes, yes! Perhaps someday you will. 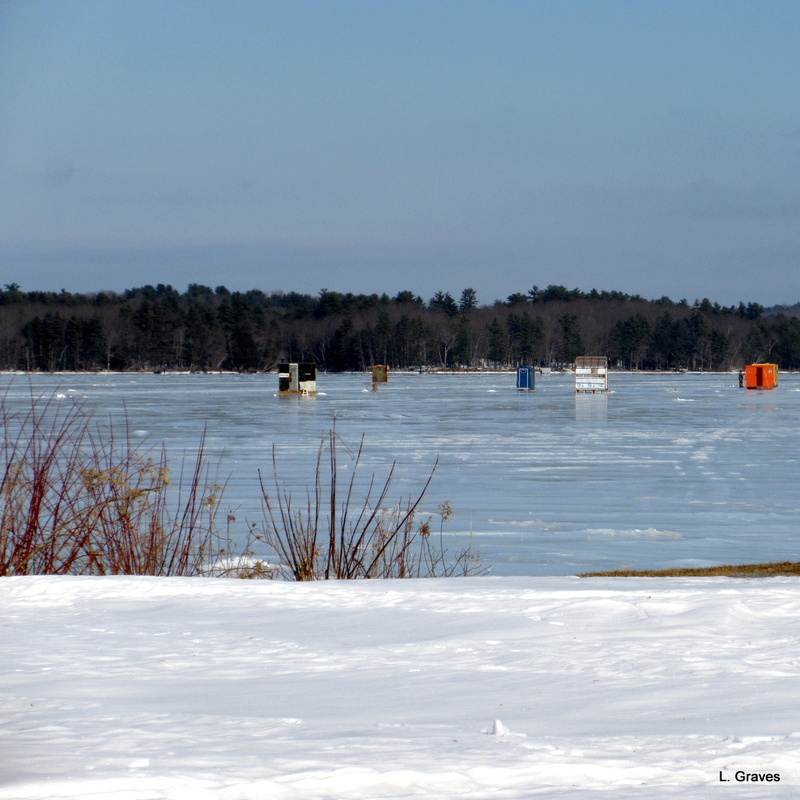 Frozen lakes, ice fishing, shacks, fishing traps set and awaiting flags, even the roar and zoom of a snow sled making its way across the lake…these are some of my favorite things! My children didn’t have a free range childhood, either. However they did have the woods with its little stream, and that gave them some freedom. 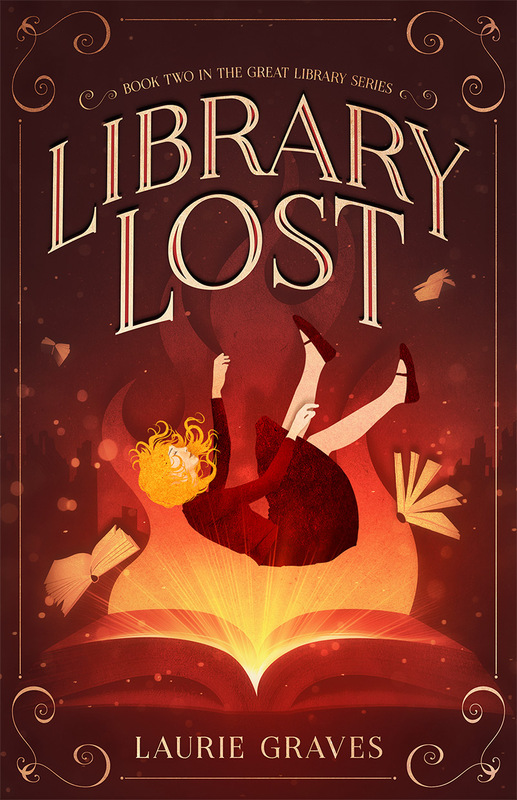 They never roved too far, though, and could always hear my voice if they called. 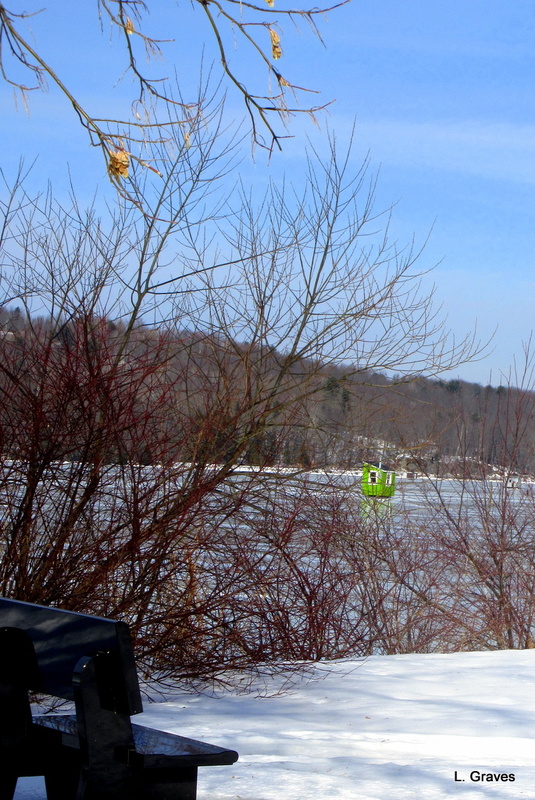 We enjoyed a lakeside view in NH and the huts that appeared every winter! I was never tempted to fish, but loved being out on the ice. 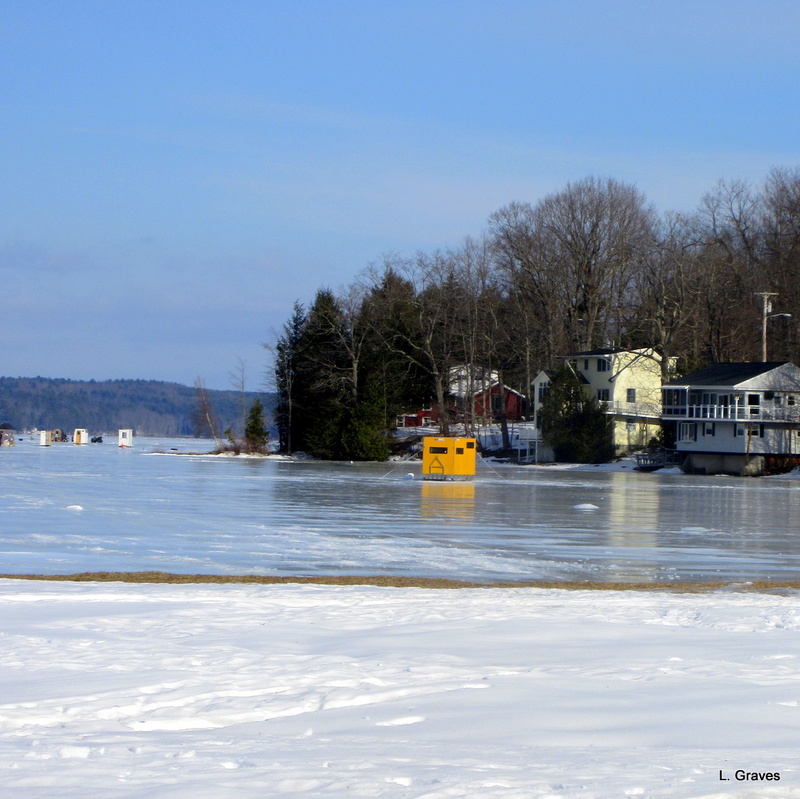 I was never sure of the sanity of those who drove their pickups out on the ice in the Spring, and remember at least one partially submerged on Winnipesaukee..! You are right to wonder. Driving on ice in the spring is definitely a what-the-heck moment. But in deep winter, it’s grand to be on the ice. My hubby and I just went ice fishing last week; we try to get out as often as we can manage with the weather and our crazy work schedules. My parents are big on the outdoors and my brother and I spent our early childhoods on a farm. We definitely did some skating on the pond and snowmobiling! It was always such fun (and still is! ).